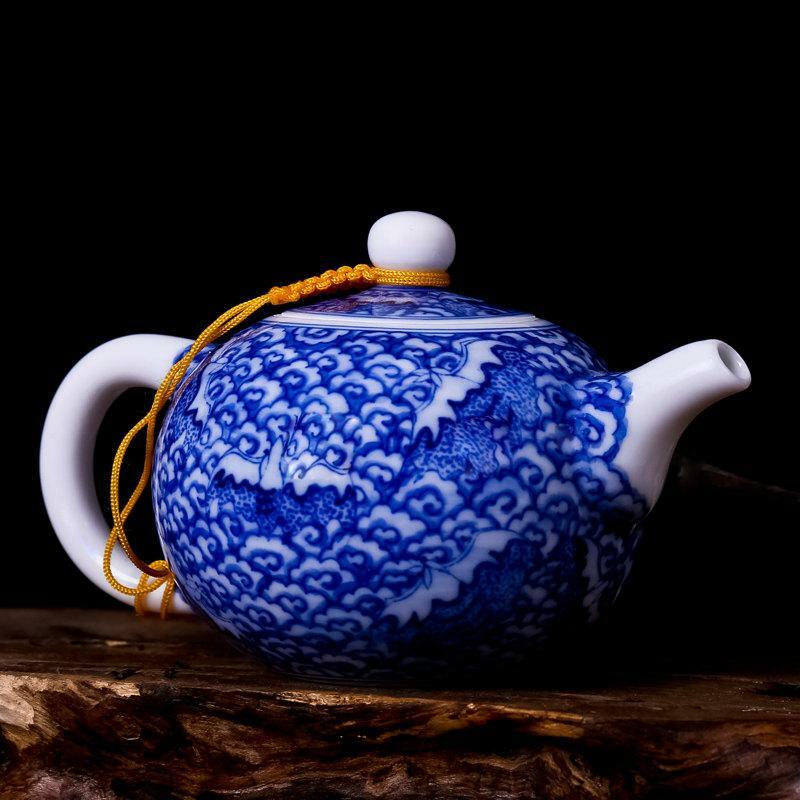 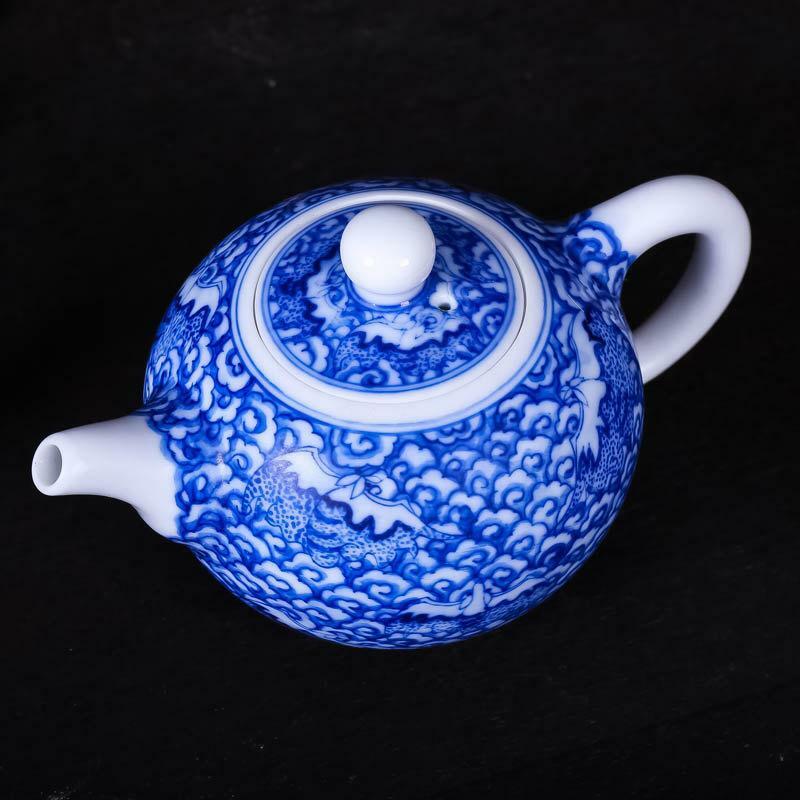 Welcome to see our blue and white porcelain teapot and tea cups, it is four-piece traditional Chinese tea set with hand painted auspicious clouds pattern, including 1 teapot about 200ml, 12cm from spout to handle end, and 7cm high, 1 small tea cups about 20ml, 5.2cm in caliber and 2.5cm high, 1 tray about 7cm in diameter and 3cm high. 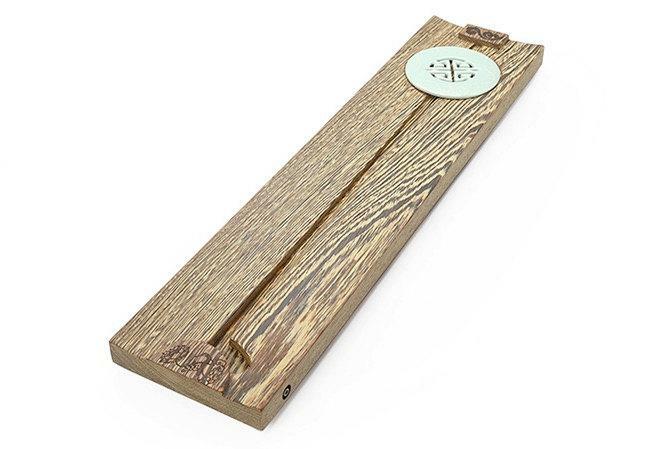 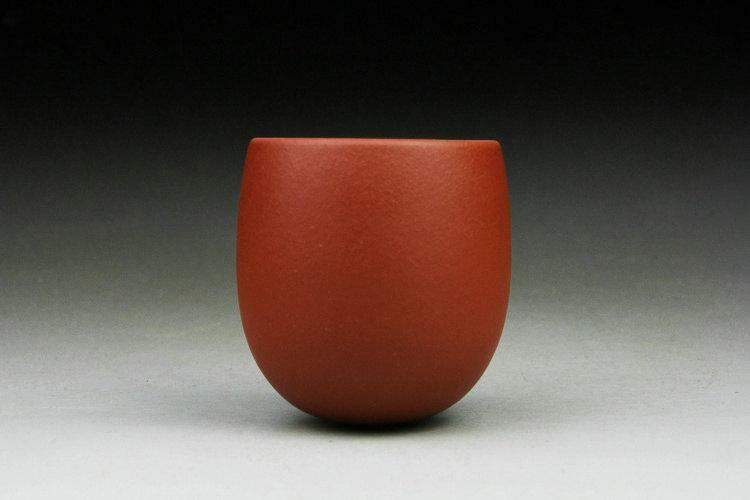 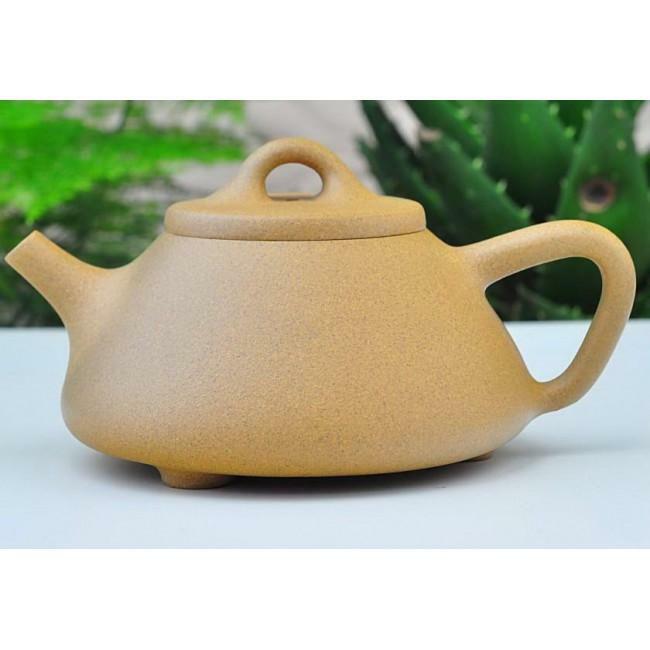 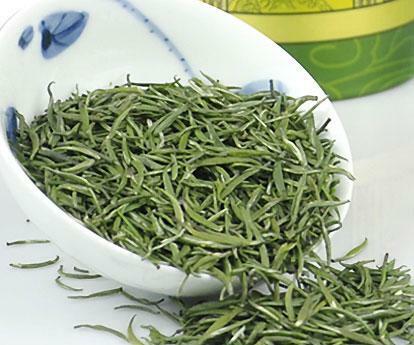 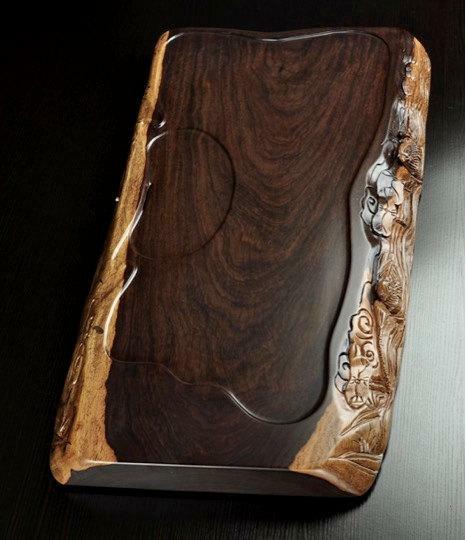 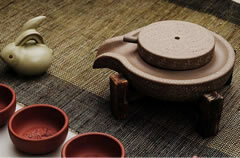 It is suitable for tea ceremony and kung fu tea. 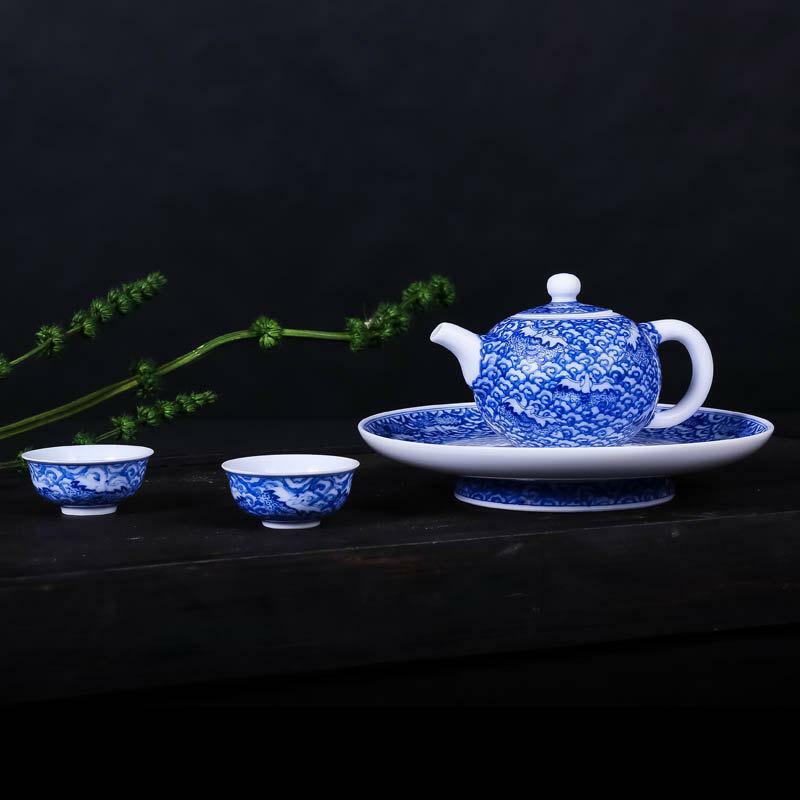 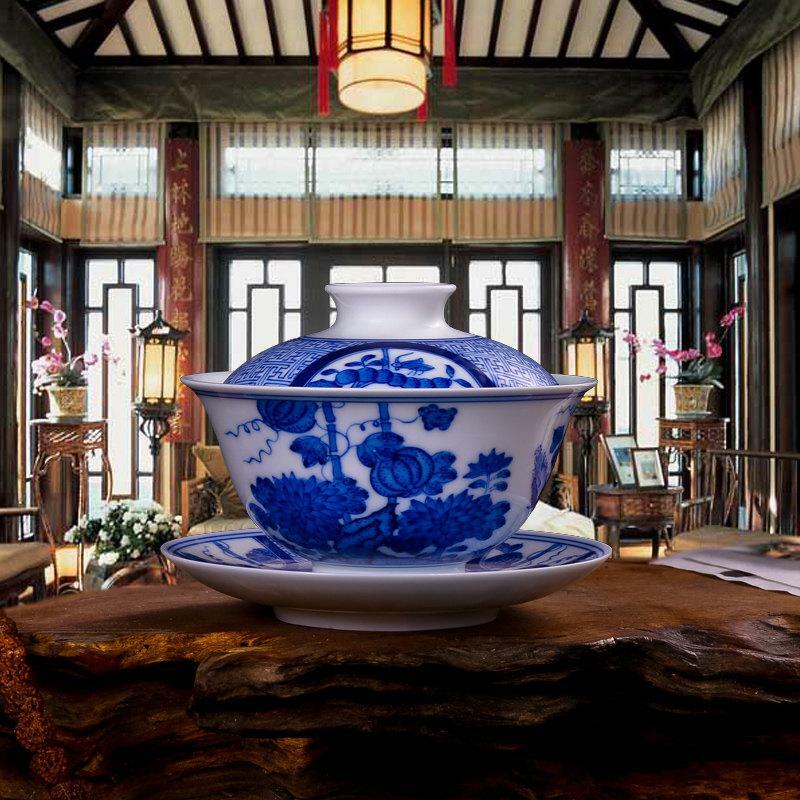 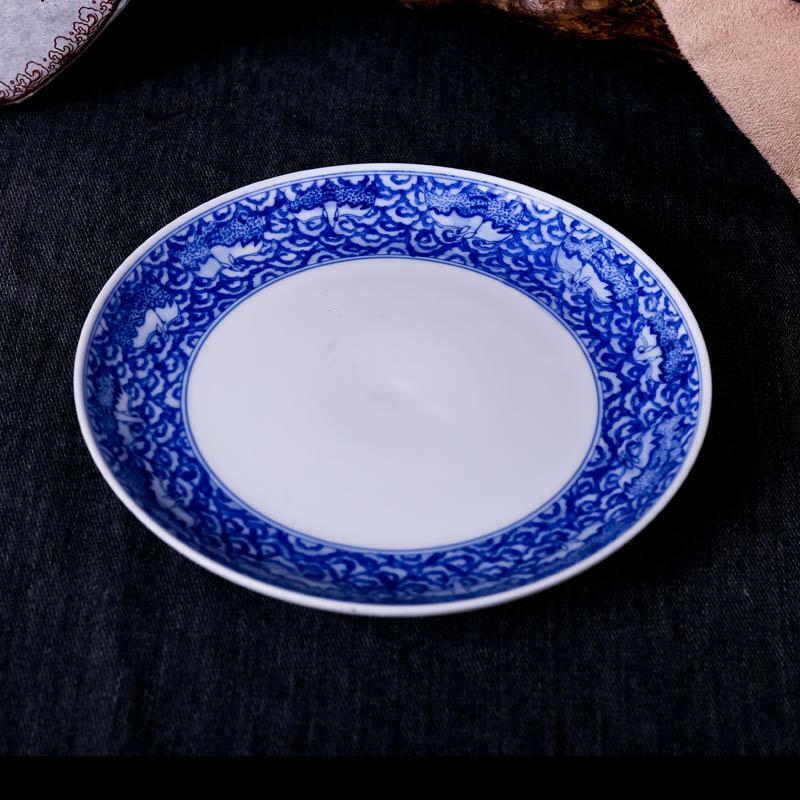 Traditional Chinese blue and white porcelain is used for the Chinese tea set. 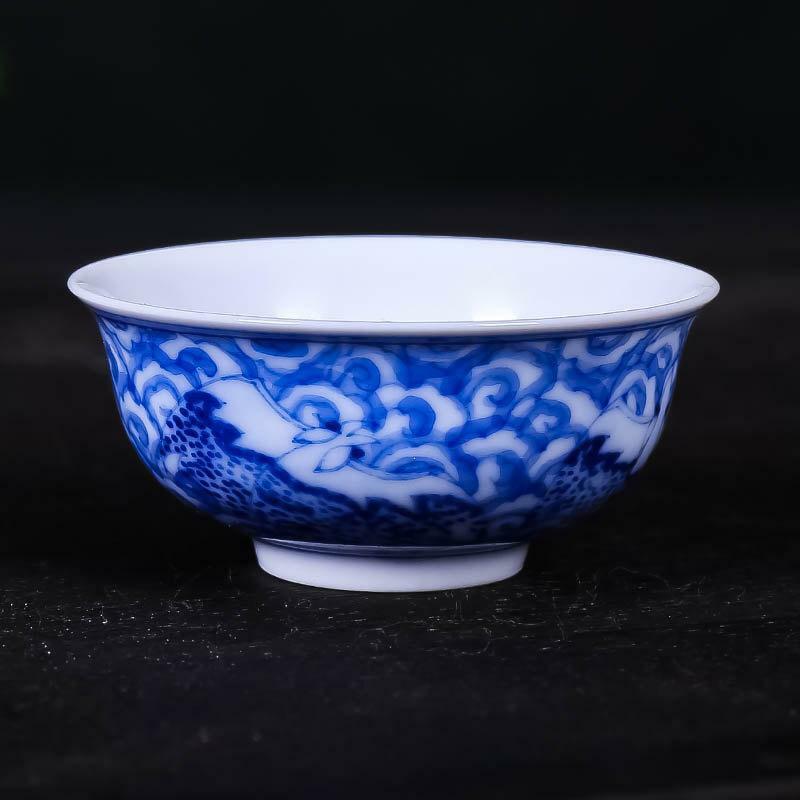 Blue and white porcelain, refers to decoration painted with cobalt oxide on the body of vessel before glazing. 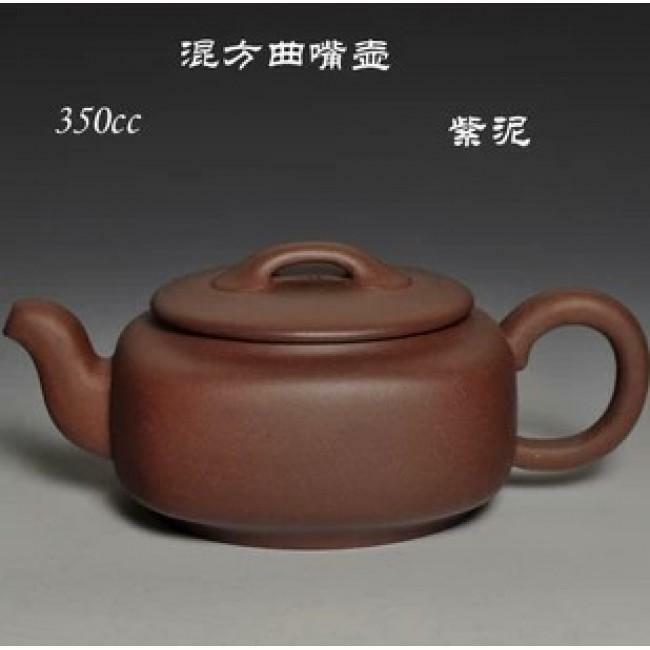 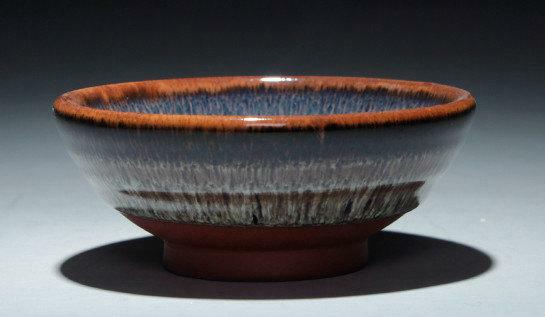 The decoration is therefore under the glaze. 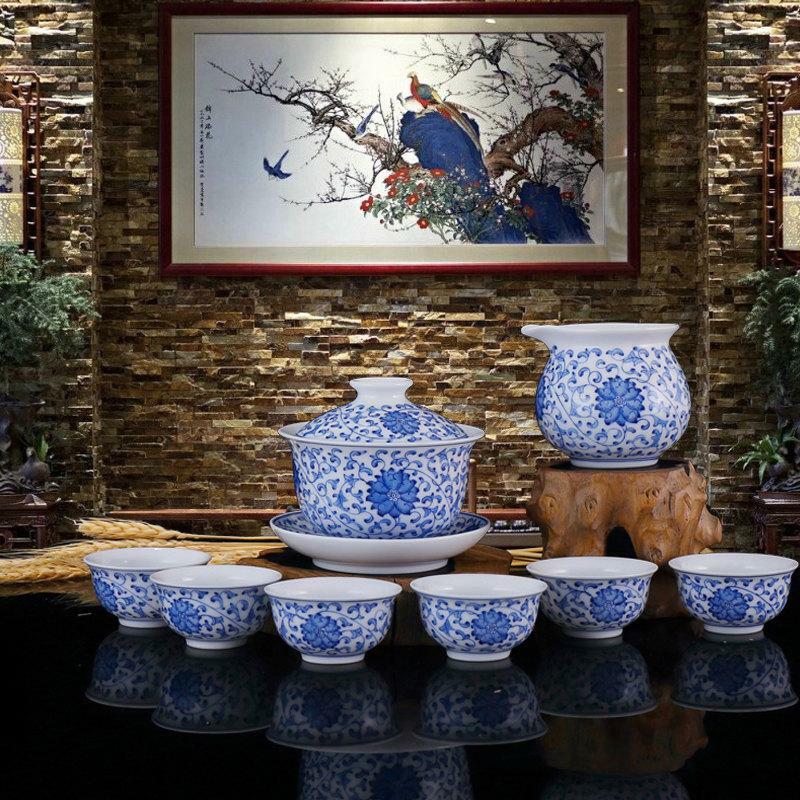 Here the decoration is applied by hand, which is different from transfer printing and stenciling. 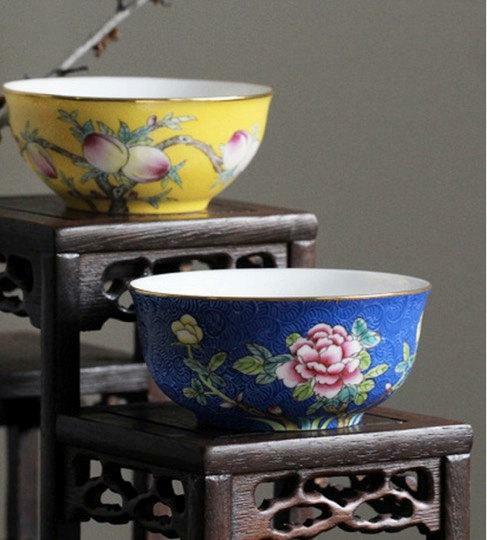 The tea set is decorated with hand painted auspicious clouds or lucky clouds in Chinese we say xiangyun. 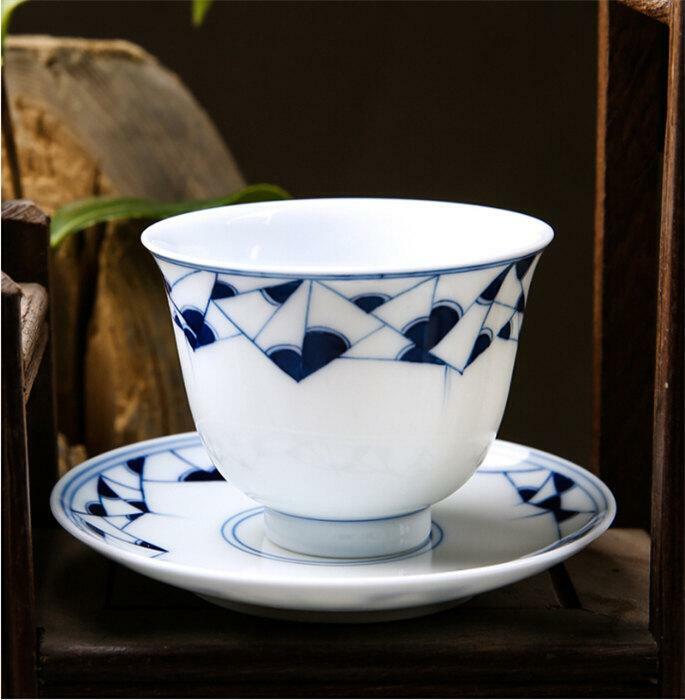 It is the similar kind pattern to 2008 Beijing Olympic torch. 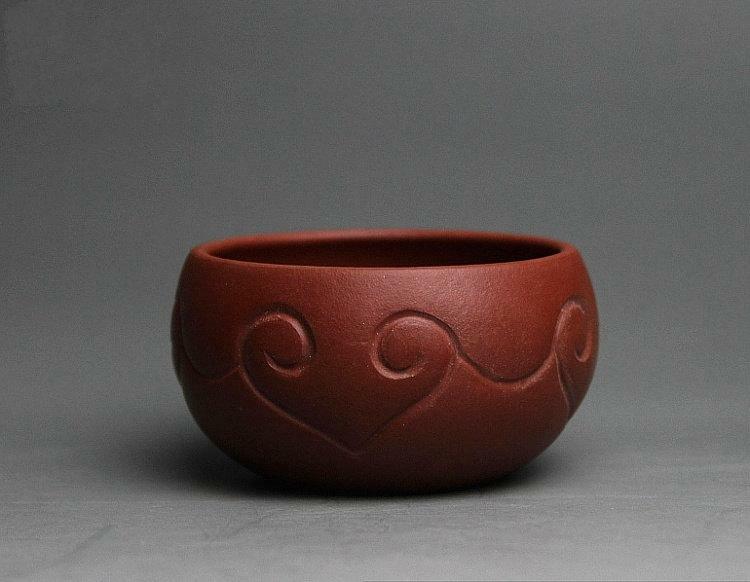 It shows the meaning of origin of symbiotic and harmonious communion.